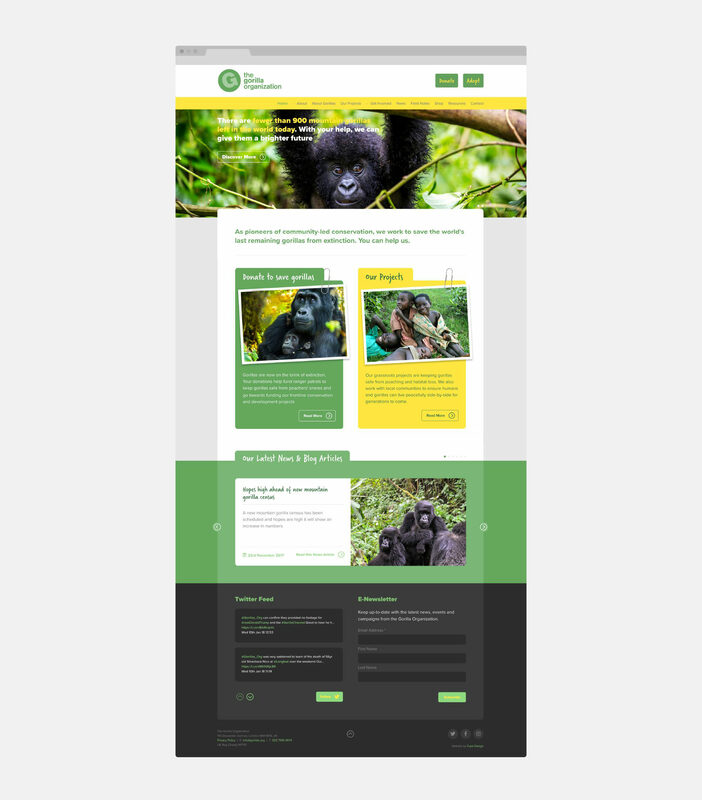 Charity Website design and build for the gorilla conservation organisation. The Gorilla Organization are pioneers of community-led conservation, working to save the world's last remaining gorillas from extinction. Originally established by the pioneering primatologist Dr Dian Fossey (Gorillas in the Mist), the popular charity approached us to design and build their new website, after we completed a number of funding reports and marketing material for them previously. The project involved totally restructuring how their previous sitemap worked, with a primary focus on how they are helping to save gorillas through their various projects and how you can support them, via donations and fundraising shemes, all of which is at the forefront of the new website.